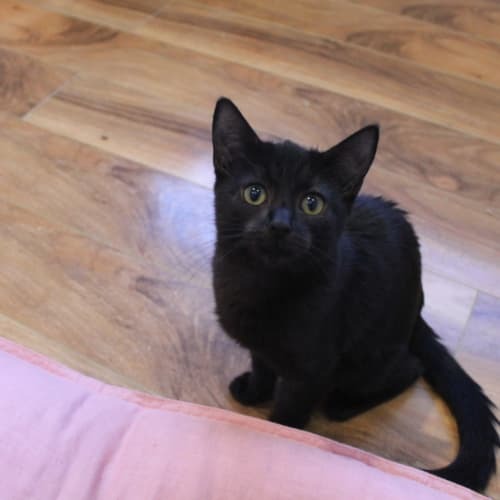 Lola is a 13 week old kitten who was separated from her mum at only 5 weeks old. She is a grey and white kitten with beautiful brown markings. 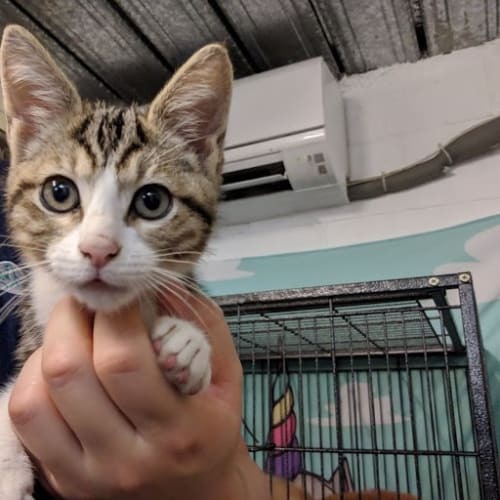 Although Lola didn't have the best start to life, it hasn't stopped her from being a bubbly and cuddly kitten!Lola is a sweet, happy and affectionate kitten. As long as she's not in a playful mood, she loves taking a nap on your lap and cuddling up to you. She even loves to give you kisses on your nose. You'll know when Lola is happy and content because you'll hear her motor purring away.When she first arrived in foster care she wasn't shy at all, she was a little ball of energy. All she wanted to do was play and run around. Since arriving, she has been socialised very well with other animals as she currently lives with 3 cats and 1 dog. Even though the other cats are a lot bigger than Lola, she's not scared of them at all and loves to boop their nose!Don't be tricked by her small size, she has a big appetite! If you have lots of food to give then it sounds like you're the right family for her! 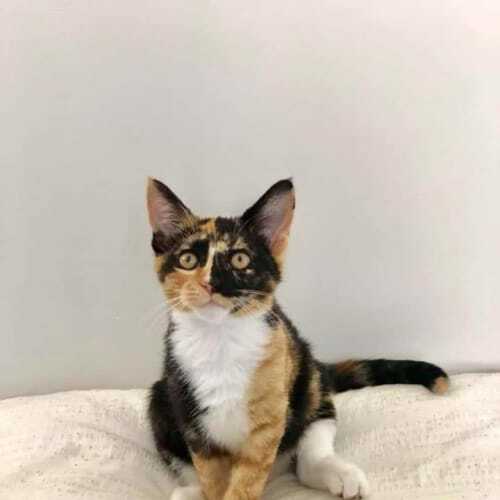 She loves following you around the house, so if you also don't mind having a little shadow around you all the time then she's definitely purfect for you.Lola is litter trained, has had her first vaccination, is microchipped and up to date with worm and flea treatments. Lola is currently living with her foster family in Mount Gravatt whom adore her very much! Lola is ready to go to her furever home and she can't wait to meet you and give you lots of kisses! Hi there, my name is Khaleesi and I love cuddles. I'd love to be your best friend. I like to explore and investigate.I have a short, easy-care coat.I am desexed. Silvermist and her siblings were born in a shed. Rescue spent days trying to find them. Then we did, their mother Willow was their protector till she realised we were there to help. 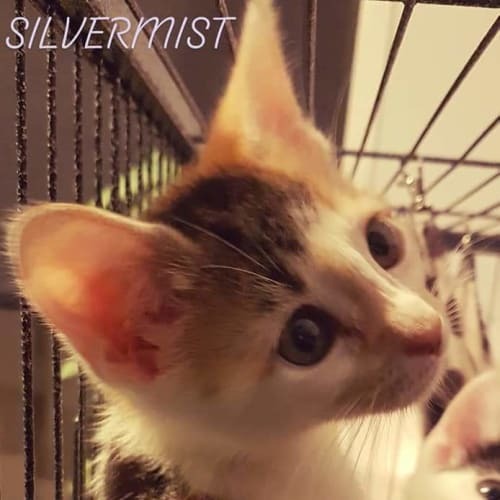 They were 2 days old, they have grown up in rescue care and starting to show their personalities.Silvermist is soft, gentle little girl. She learns from her siblings mistakes and loves to play. She is currently looking for her forever home as well as her siblings. Hi there, my name is John and I'm a little overwhelmed at the moment, but in the right environment I'll shine. 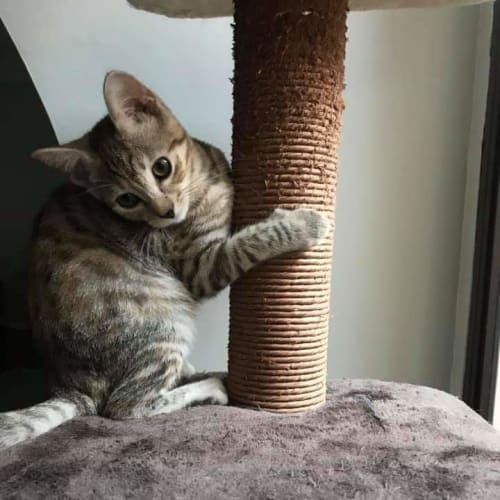 I love having toys and a nice scratching post to play around with. I like to keep to myself until I get to know my humans better.I have a short, easy-care coat. I would like to live in a mature family, as kids can be a bit overwhelming for me.I would like to have a feline friend in my new home.I am desexed. Toby is a stunning boy and a reluctant surrender. This chilled out boy is independent and quite happy in his own company. He gets along well with the dog he currently shares his home with so will be a good fit for most family dynamics. Toby will be a wonderful little friend. He can’t wait to find a new forever home to call his very own. For further updates about Toby please click on the following link:http://www.victoriandogrescue.org.au/cats-for-adoptionPlease note: our cats are not available for interstate adoption. We also do not adopt to people under the age of 25 years.Not the cat you’re looking for? 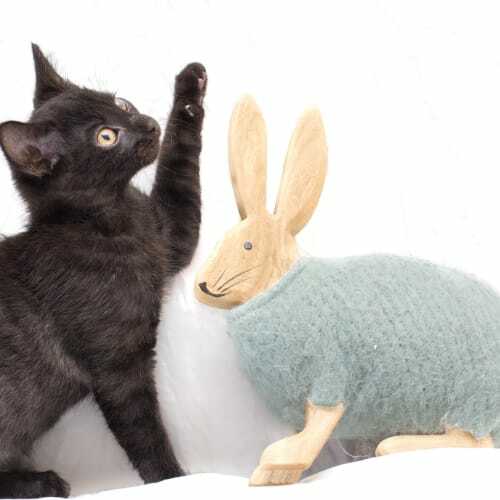 Please visit our website to see other cats waiting for a home.http://www.victoriandogrescue.org.au/cats-for-adoption/Have you considered foster care? For more information please click on the link below.http://www.victoriandogrescue.org.au/about-vicdrg/foster-caring-for-vicdrg.htmlVictorian Dog Rescue has a six-week full refund policy and a lifetime takeback guarantee that includes 50 per cent of the adoption fee refunded. Ever wanted the magical cure of never being lonely again? Mia is it! This kitten is one affectionate little shadow, although mind you once she has snuggled herself into something or someone she won’t budge for much. Her foster mum who says just like her beautiful markings Mia has the perfect mix of everything. 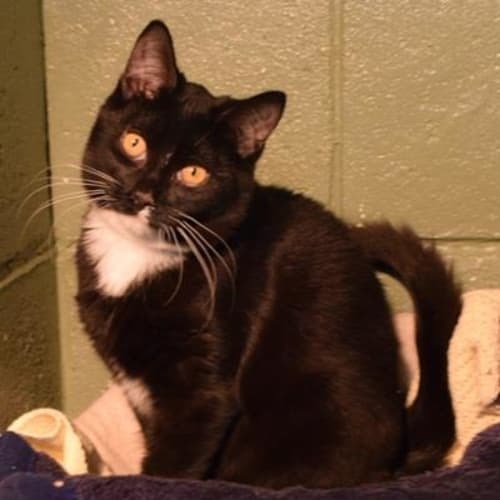 She is affectionate, patient with children, toilet trained and just down right cute. She isn’t into toys as much as a cuddle and she is okay with dogs who aren’t in your face (Find with 10 yr old border collie not so much the 12 week old puppy). She is great with other cats once given time to settle in with them. Mia comes vaccinated, wormed and flea treated and we will cover the cost of desexing once she is old enough. 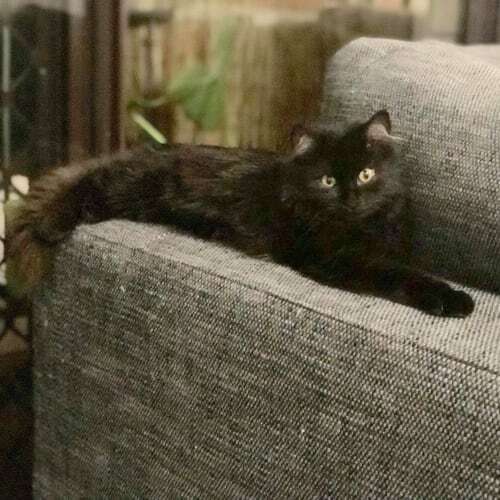 All About Me and My Unique Personality:Hello, my name is Midi (short for Midnight) and I am a precious little girl with a curious yet timid nature. I love to chat away with you and spend time together. 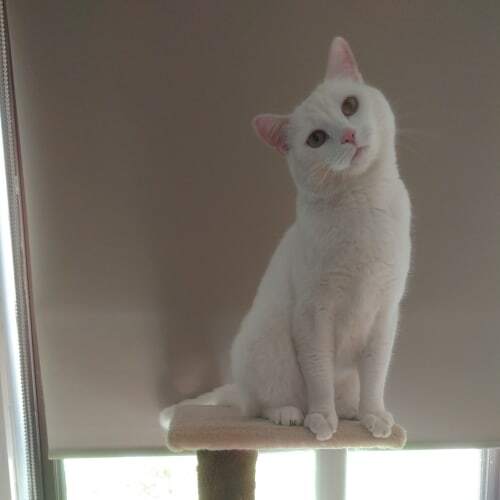 I am quite hesitant at first and I take some time getting comfortable, but I am a total sweetie.My Ideal Home:I think I would suit a home where I am the only cat, or there is just one other cat. I am fine with kids as long as they give me a little space at first to get used to everything.What is Known About My Background:I was surrendered to a local pound with 3 other kittens who I am currently in care with.How Do I Interact with Kids, Dogs, Cats and Other Pets:I love my foster siblings and interact with them very well. I don't know what I would be like with dogs but if I was introduced slowly I would probably be ok! 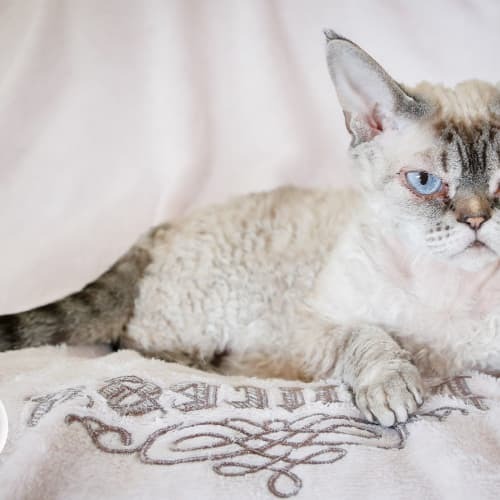 Yuki is a pure bred Devon Rex. 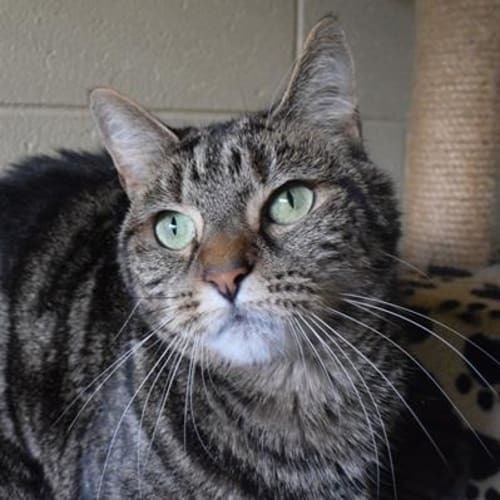 She is very sweet and very affectionate and just loves cuddles and to spend time with you. She also loves to play and will fetch things like a dog. Yuki has been around other cats. She is currently on special biscuits from the vet plus cooked roo meat as she has allergies and this diet helps keep that under control. Therefore it would be better if Yuki were an only cat due to her dietary needs. 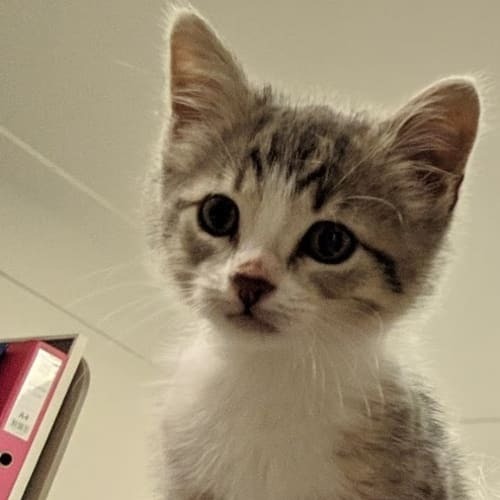 Flerken is a tiny little man looking for a forever home. He loves to play with the other kittens, though most are bigger then him. He loves to ride around on peoples shoulders. Millie is a sweet and loving little girl. She loves to play and likes other kittens.